Each student starts out with 20 bottles in his/her baby carriage. Students take turns rolling die to determine how many bottles to feed the baby (hole in his mouth). 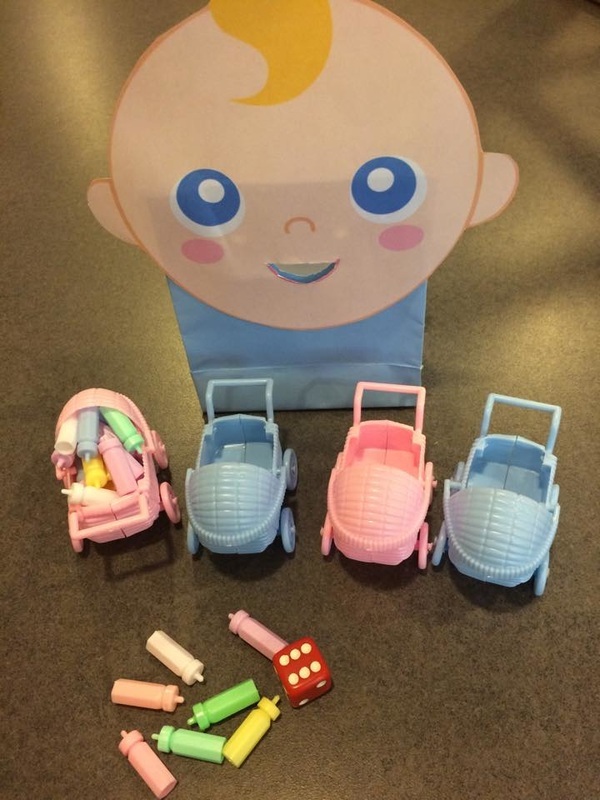 The student who empties his/her baby carriage first wins! **Bottles and carriage found in the baby shower section of Dollar Tree. **Baby created using clip art and small gift bag. I am considering a recording sheet for this game that will be posted on TPT. 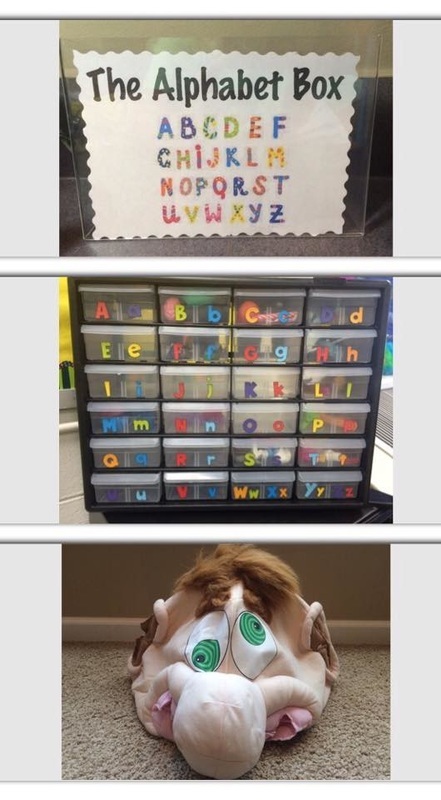 The Alphabet Box Starring Ned's Head! This is a favorite with my kiddos! 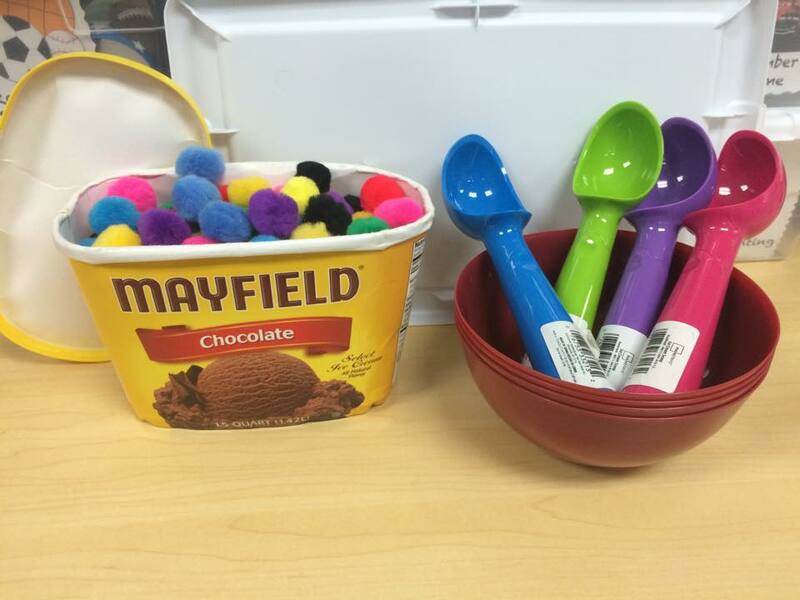 Click https://www.teacherspayteachers.com/Product/Roll-Count-Scoop-1937067 to grab the recording sheets and make it an addition to your math center rotations! 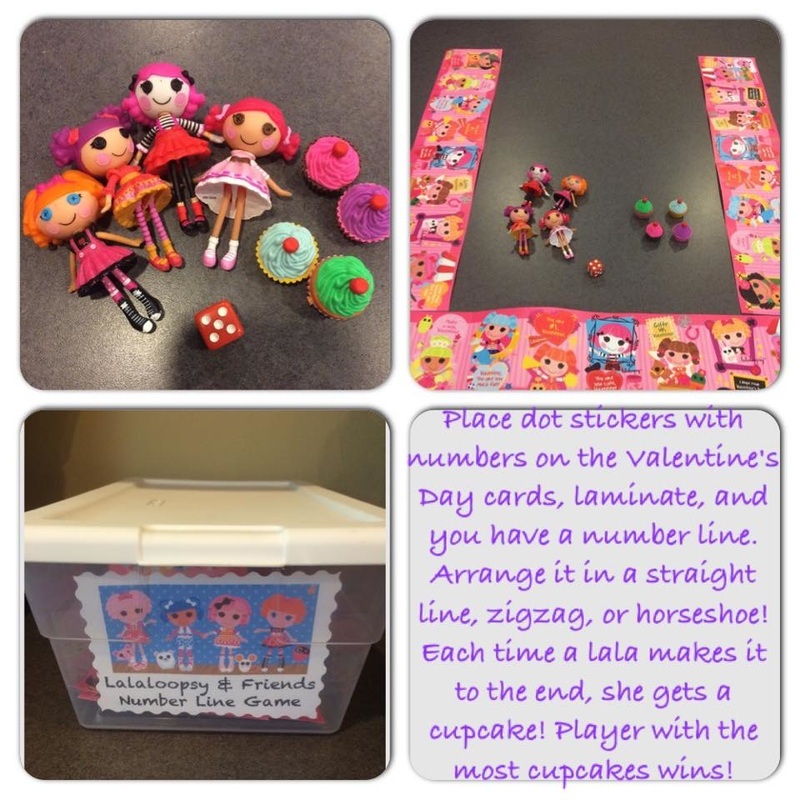 Have I said how much I love these Number Line Dice Games using Valentine's Day Cards?? I think I scored these cards for a whopping 30 cents after Valentine's Day this year! 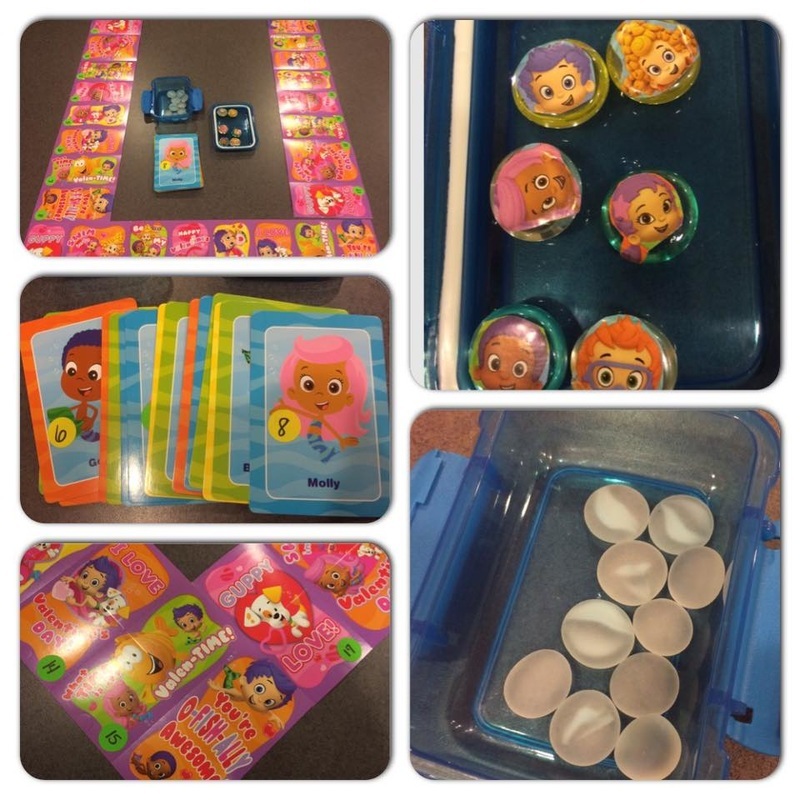 These games teach number recognition, counting, and cooperation! I eventually add dice rather than die and the students learn number combinations with them so fast! I took the dolls from my daughter's room because she never plays with them....shhhhhh! ;) I found the cute cupcake erasers at Dollar General for $1! Valentine's Cards make great games! 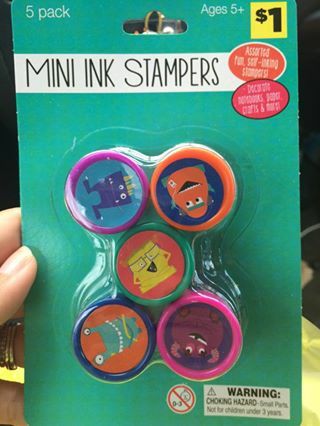 Just add dot stickers, write numbers, and you have a number line! I also used the dot stickers to place numbers on the cards (which were originally matching cards for $1). Each player starts on 1, turns over a card, moves that many, and receives a white "bubble" each time he or she makes it to the end of the number line! EEEKKK! My first ever blog post! I know I am not the only teacher that thinks about school over the summer....sigh! I am working on building this site and my fb page. I changed my room decor for next year to a beach theme and have added pics! I love to share my ideas and hope you find them useful! !